WMS and Red 7 Mobile have today released the Spartacus Legendary Warrior slot – this volatile offering can reward you with multipliers up to 3,125x on every Hero/Legend free spin. Spartacus Legendary Warrior follows on from Spartacus Gladiator of Rome and Spartacus Call to Arms and comes with 5 reels and 50 paylines. Playable from just 25p a spin on desktop, mobile and tablet devices, it has an ancient Roman theme and looks superb. Look out for wild symbols as this causes the reels to expand to be 10 high with 100 paylines in play – the wilds also expand to give you wild reels. In total, there can be 4 wild reels in play at any 1 time. There are also 3 free spins features which are described blow. The Recruit Free Spins feature gives you 12 free spins with random, expanding wilds added to the reels. The Hero Free Spins feature also gives you 12 free spins with random, expanding wilds – expanded wins can give you a 5x multiplier which can give you a multiplier up to 3,125x! The Legend Free Spins feature also rewards you with 12 free spins but random wilds expand to give you a legend expanded wild – with multipliers combining up to 3,125x, it comes with scatter style payouts instead of from paylines for more chances to win. You can also win 12 more free spins in each of the 3 features. Highly volatile, filling the reels with wilds will reward you 10,000 times your stake – add in the huge potential multipliers and you could easily win the massive £250,000 available on every free spin! For more details, check out the Spartacus Legendary Warrior slot review. 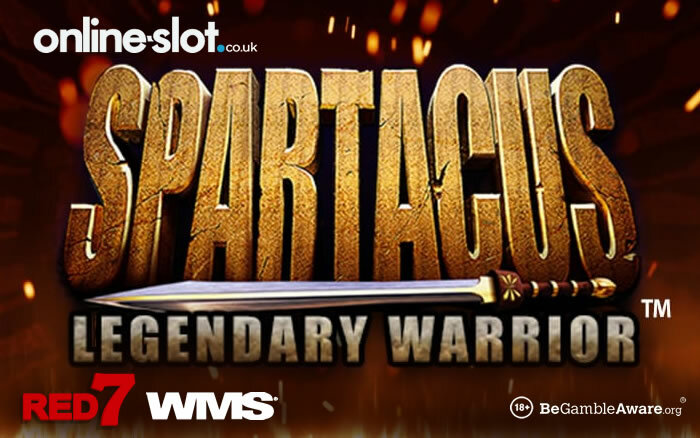 You can play Spartacus Legendary Warrior at SlotsMillion Casino – with over 1,760 slots at the moment, you have games WMS, IGT, NetEnt, Novomatic, Play ‘N Go, Yggdrasil Gaming and many others. You name it, they have it. From a player perspective, they offer same-day cashouts (within minutes) and operate 24/7 customer support. If you win, you have the option to lock your withdrawal so you’re not tempted to play with your winnings. New UK players are treated to a 100% first deposit bonus up to £100 as well as 100 extra spins (20 per day for 5 days across various NetEnt slots).